Winning Smiles Orthodontics > Blog > WHEN SHOULD A CHILD HAVE BABY TEETH EXTRACTED? WHEN SHOULD A CHILD HAVE BABY TEETH EXTRACTED? Many parents and primary care dentists often ask our office whether or not children should have their baby teeth removed. In most situations, we would prefer that these baby teeth, also called primary teeth, fall out naturally. However, there are times when having them removed by the primary dentist is not only necessary, but beneficial. Conversely, there are times when a child should not have their baby teeth removed at all. 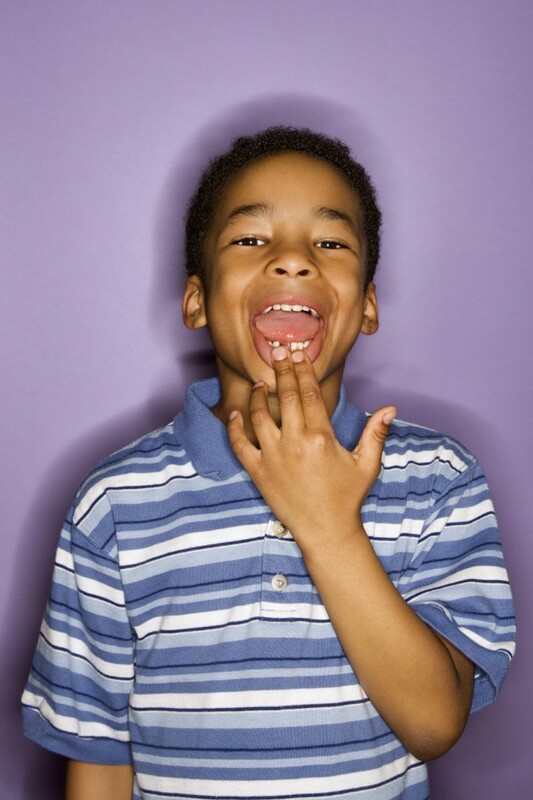 In general there are certain patterns that most children follow when losing their primary teeth. The first step in my exams is to simply count all of the permanent and primary teeth in the child’s mouth. The second step is often to take a panoramic radiograph so that I can verify which of the permanent teeth have erupted, which are ready to erupt, which may be potentially impacted, and finally, which permanent teeth may be missing – congenitally or otherwise. In most cases, as long as the the proper sequence of tooth eruption is being followed, I generally don’t worry about a child’s tooth development. While the average child gets all of their permanent teeth by 12 years of age, some children get all of their permanent teeth 2-3 years earlier, while others don’t get all of their permanent teeth until 2-3 years later than the average age. a) over-retention of primary teeth. Over-retained primary teeth can often cause their permanent tooth successors to re-direct themselves into an impacted (stuck) position. b) displaced primary teeth. Oftentimes, the primary tooth will not fall out even when the permanent tooth successor has already erupted. The primary tooth will often displace itself towards the cheek side of the mouth or the inside of the mouth and just linger in place until it is extracted. The decision whether or not to maintain or to extract primary teeth is not an easy one and you may need more facts. It often requires a full orthodontic assessment to make the best determination. Each child presents with unique circumstances, and therefore there is no one-size-fits-all approach as to handle each situation and each child. One again, this is another reason why the American Association of Orthodontists recommends that every child should be followed by Orthodontist once he/she turns 7 years old, and starts to get both primary and permanent teeth in their mouths. To learn more about Orthodontic Surgery or whether or not this is necessary for your child always feel free to call Dr. Derek Brown or visit him at one of his 2 offices!